Toronto is one of the many great world cities that has been rendered nearly unlivable by real-estate speculation, both from onshore investors and offshore ones. Following a raft of measures to cool off the property market, sales have plunged, down 35% overall in Feb 2017 relative to Feb 2016; prices are down an average of CAD110,000, and listings are up (which will drive the prices down further). Bullish real estate investors point out that the market is still up relative to prices two years ago. However, bubble pricing is intrinsically unstable: people who bought property in Toronto on the belief that the market would always go up and there would always be tons of liquidity that would allow them to cash out on a few days' notice are now motivated to sell (especially if they were highly leveraged). When they list their properties, it drives the market down, panicking more investors, who list their properties -- lather, rinse, repeat, implode. The anti-bubble measures included a 15% stamp duty on non-resident foreign speculators; higher interest rates set by the national bank; and tighter lending rules. Canadian borrowers are largely in adjustable rate mortgages, making them liable to shocks if the Bank of Canada raises interest rates. * City of Toronto: -6.1% to C$806,494. 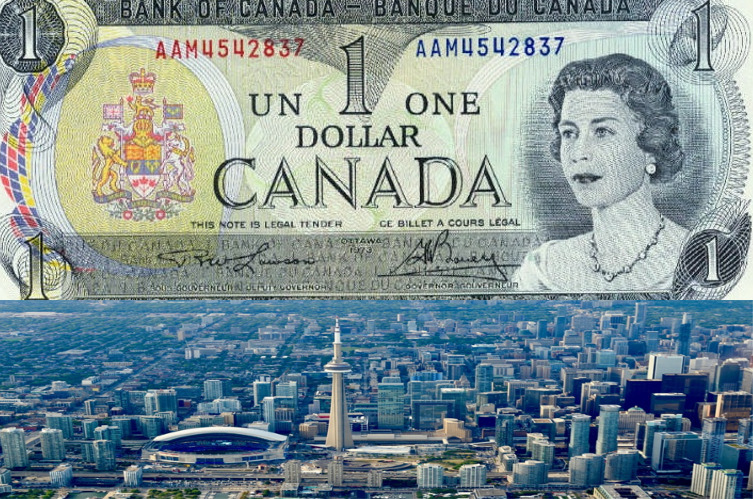 * Rest of the GTA without Toronto: -16.1% to C$743,196.